Yesterday we talked about how to create a Master To-Do List and today we want to build on that by incorporating the 7 Daily Do's. We humans are creatures of habit, so it's important to make mindful intentions each day to keep us moving in the right direction. 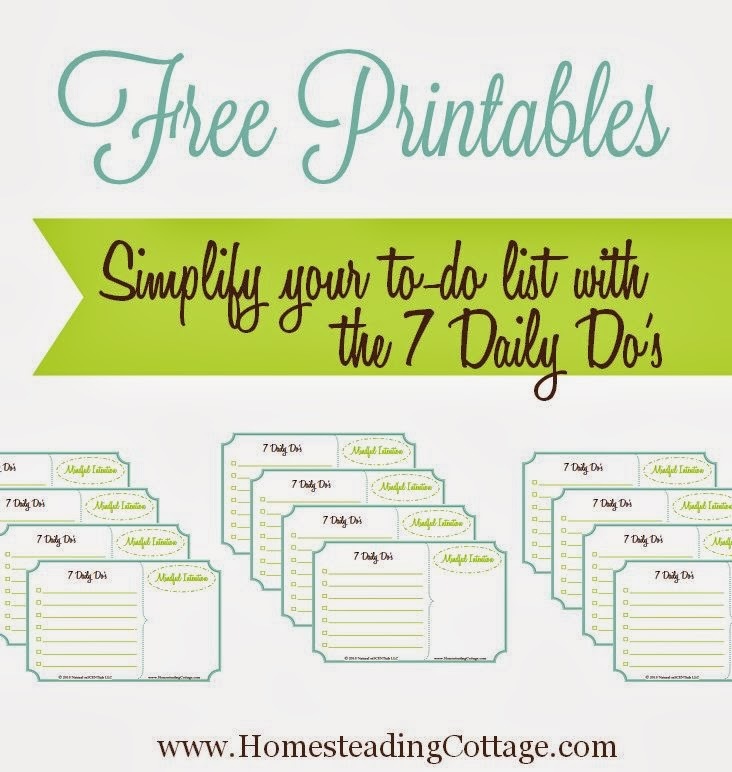 We're wanting to keep things simple this month and so today's focus is how to simplify your to-do list with the 7 Daily Do's. I struggled for the longest time with countless lists of unfinished projects. I had good intentions, but wasn't really clear on what actually needed to be done. Without clarity, we perish and so my organizing intentions were a flop! I would make a list with VERY broad topics and then wondered why nothing was ever finished. What are the 7 Daily Do's? 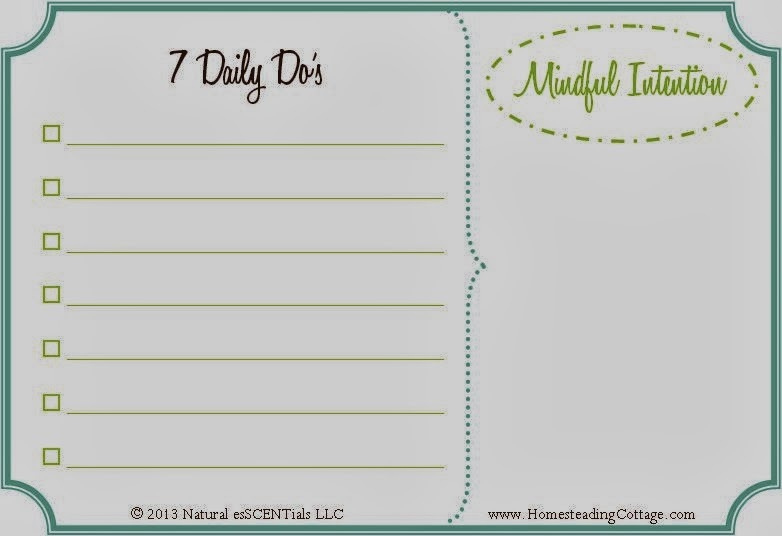 The 7 Daily Do's is list of 7 tasks for the day that are in addition to your normal daily chores. 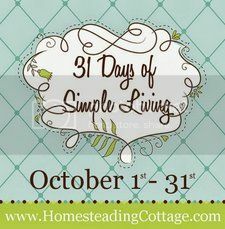 They can be individual steps to complete a larger project, errands that aren't on your regular schedule, or a simple way to organize your routine if you aren't using a planner. I've found that a short list of 7 things seems to be the magic number. It's small enough so it doesn't overwhelm you, but yet not too small to make you feel unproductive. In the Bible 7 represents rest and natural & divine completeness or perfection. Hum...interesting. I'm more restful because my tasks are getting completed which is perfect!! (; I've tried to have a list of more than 7 and less than 7 and neither seems to work for me. For some reason 7 seems to be the perfect balance. In my planner I keep two 7 Daily Do lists. One for business and the other for my personal life. Each night I make a list of 7 tasks for the following day. As each one is completed, it gets marked off the list. This way I can clearly see what needs to be done and with each mark-off, a sense of accomplishment grows. If all 7 tasks are done and there's still time left in the day, then I'll add one or two more, but only if everything on the list is completed. That way there's not an overwhelming daily list that never ends. 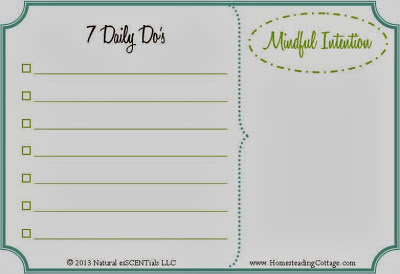 If I don't complete all 7 things, no stress here...they simply carry over to be included as one of The 7 Daily Do's for tomorrow! We've found that this does wonders for kids too and is a great self directing tool. 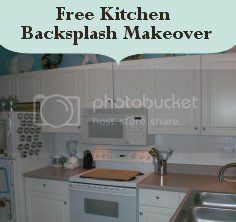 Use it for their chores and projects or dreams and aspirations. When kids know what to expect, they thrive and confidence abounds. Make sure to adjust the amount of daily do's based on the child's age and ability. 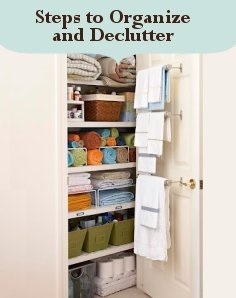 Remember this is a tool, not a stress creator (; You may be surprised at how organized they become! Now, for today's challenge I'd like for you to get your Master Running List and create your first 7 Daily Do's list. Again, we're creatures of habit so it may take some time to get used to the process. Be kind to yourself, but keep at it. After a while you'll begin to rely on those 7 Daily Do's and the peace in your home will increase. 1) Try to pull at least 2 tasks from your Master Running List. and 3 things that can be completed quickly. What would a list tutorial be without a printable? 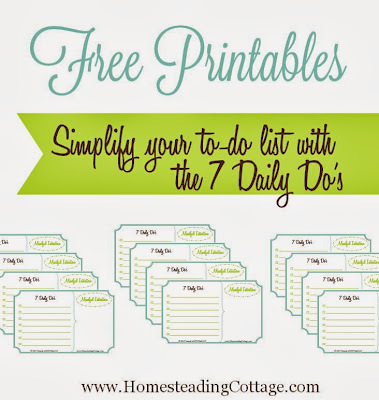 We wanted to make sure you had the tools to begin asap so I uploaded our 7 Daily Do's printable to get you started. You can download it HERE. Each one is a little larger than an index card for ample room and there are 4 to a page. Print as many as you like. I prefer to cut them out, leaving enough white space on the top to punch a couple of holes for metal hinged rings. Voila! Instant booklet (; I also keep the back blank to jot down notes. You'll also notice a section titled "Mindful Intention." Staying motivated is key while we're making mindful choices, so we wanted to create a spot for daily inspiration. 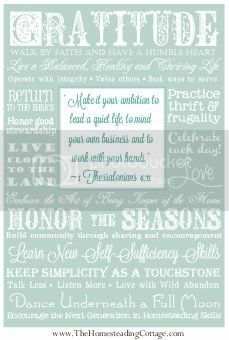 Add a goal, Bible verse, quote, declaration or mantra. Keeping your focus on a bigger vision encourages forward movement which means that simple living lifestyle won't be far behind. Come back tomorrow as discuss elements for a simply organized day (; See you then! !